As reported by Deadline this week, Tom Holland will be joining Michael Shannon, Benedict Cumberbatch, and Katherine Watson in Alfonso Gomez-Rejon’s The Current War, a drama about the competition between electricity inventors George Westinghouse and Thomas Edison in the 1880s. 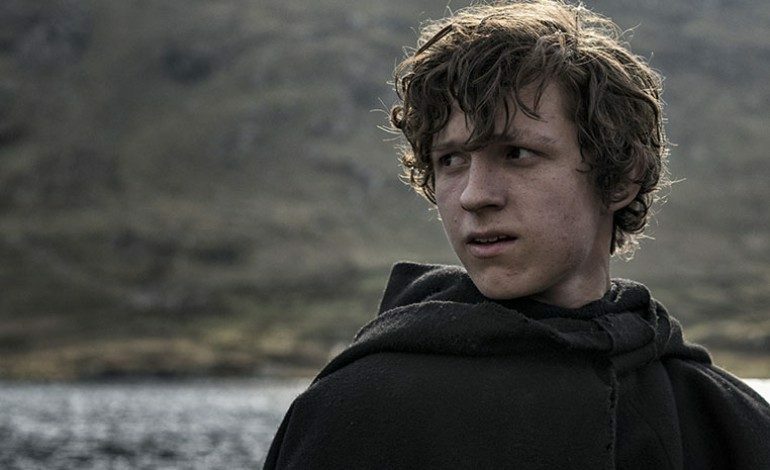 Tom Holland, most known for his portrayal of Spider-Man in Captain America: Civil War and the upcoming Spider-Man:Homecoming, started off his career in theatre as Billy Elliot in the original West End production of musical Billy Elliot. In The Current War, Holland will be portraying Thomas Edison’s assistant, meaning he will be working closely with Cumberbatch. Holland can be seen next in The Lost City of Z with Robert Pattinson and Sienna Miller being released on April 21, 2017..
Director Alfonzo Gomez-Rejon, who recently received acclaim for Me and Earl and the Dying Girl (2015), started off his career as a personal assistant to Martin Scorsese, Robert De Niro and Alejandro Gonzalez Inarritu. He has served as second unit director on multiple films including Babel (2006) and Argo (2012), and has directed episodes of American Horror Story and Glee. Writer Michael Mitnick, who previously wrote the 2014 adaptation of The Giver, as well as episodes of HBO’s Vinyl, wrote the script for The Current War which was on the 2011 ‘blacklist’ for best unproduced screenplays. His adaptation of Pinocchio was optioned by Robert Downey’s production company with Ron Howard attached as director. The Current War will be competing with The Last Days of Night directed by Morten Tyldum which has Eddie Redmayne attached to star. Both films focus on the competition for electricity between the two inventors. The latter is set to be released in 2018 though, which means The Current War may beat it to the theaters as it is set to be released in 2017. The film will be produced and distributed by the Weinstein Company, where it has been in development since 2012. No filming dates have been announced.